Need to find a dependable carpet cleaning service in Cinnaminson Township? You just found one! Since 2009, I Clean Carpet And So Much More LLC has provided reliable carpet cleaning services for homes and businesses in Cinnaminson Township New Jersey. We'd love to add you to our list of satisfied customers. Call (267) 495-5188 for a free carpet cleaning quote. We'll work within your timeframe to schedule an appointment and assess your cleaning needs. Whether you frequently clean your Cinnaminson Township carpets, or haven't had them cleaned since you moved in, I Clean Carpet And So Much More LLC can help! Your carpeting as a very important job. It serves as a giant air filter. Carpets trap airborne particles and hold them there making indoor air cleaner. However a filter can only hold so much before it stops working. In fact, walking across a dirty carpet actually releases some of the trapped particles resulting in airborne particles. Yuck! That is why it is important to vacuum carpets regularly and ideally call a professional Cinnaminson Township carpet extraction contractor every 6 months. Would you rub sand paper on your carpet? Of course not. But once sand and dirt are in a carpet, simply walking on the carpet can damage the fibers the same way that sand paper would. The result is frayed fibers and a prematurely worn carpet. Protect your investment through frequent vacuuming and semi-annual deep carpet cleanings in Cinnaminson Township. Yes, you can run to your local DIY center and rent a steam cleaner in Cinnaminson Township, then buy some basic carpet cleaning solutions and do the job yourself. However, those portable rentals just don't have the same power to fully agitate your carpets and extract excess water. The result: super wet carpets that stay damp for days and possibly begin to smell. And worse, they may not be much cleaner. Doing it yourself may save you some money, but it won't get the job done, and you may end up having to call a professional after the fact anyway. When you call (267) 495-5188 for carpet cleaning, you'll be dealing with a cleaning professional who will strive to complete each job properly, on time, and within your budget. Embedded in your carpet are minute pieces of dirt, hair, dead skin, dust, mites, bacteria and more. There are many ways to clean your Cinnaminson Township carpet, but I Clean Carpet And So Much More LLC utilizes the most effective processes and products to get the job done right. 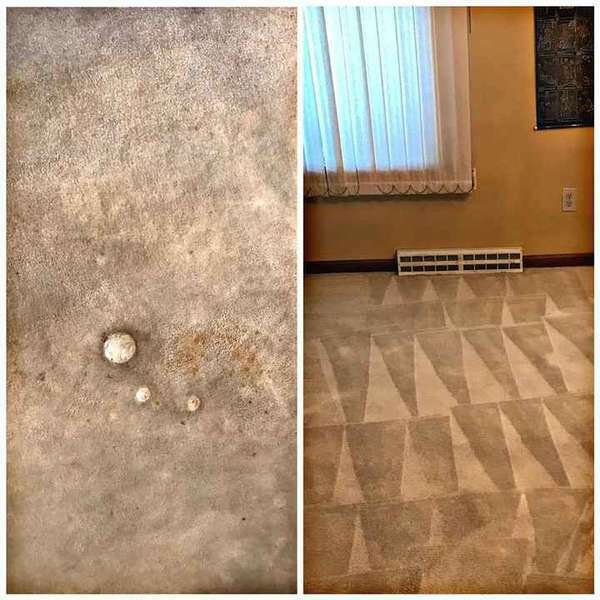 When it comes to fast, thorough carpet cleaning in Cinnaminson Township NJ, no one beats I Clean Carpet And So Much More LLC's carpet cleaning service. Our cleaners have been cleaning carpets in and around Cinnaminson Township since 2009.